All other tracks first issued in this box set. Extrasensory Perception (alternate take) (Disc 1, 15): the original issued version of this selection was edited; this take is identical up to the piano solo and differs from that point. (Medley) You Go To My Head (Disc 2, 3): on its original release, this selection was identified as "Medley" since it appears to be the first tune of a medley; in previous releases, it ended with an abrupt edit in the middle of a modulation, which has been somewhat softened here. (Jubilee) Hallelujah (Disc 2, 13): on all previous issues, this selection has been identified as "Jubilee"; it is, in fact, the composition "Hallelujah". Massey Hall quintet tracks: the tracks on Disc 2, 15-17 and Disc 3, 1-4 were transferred from the original single-channel mono recording tape made at the concert, before Charles Mingus, dissatisfied with the low level at which the bass had been recorded, added a new bass part. The tracks on Disc 3, 5-11 are made from the overdubbed tapes. Wee (Allen's Alley) (Disc 2, 15): the head of this selection, heard in truncated form in all prior issues, has been reconstructed from original tape sources. Perdido (Disc 3, 1): the head of this selection, heard in truncated form in all prior issues, has been reconstructed from original tape sources. Salt Peanuts (Disc 3, 2 and 6): vocals by Gillespie and Parker. Billy Taylor session (Disc 4, 1-5): both Art Taylor and Max Roach, either of whom were assumed to have played on this session, have denied being the drummer. 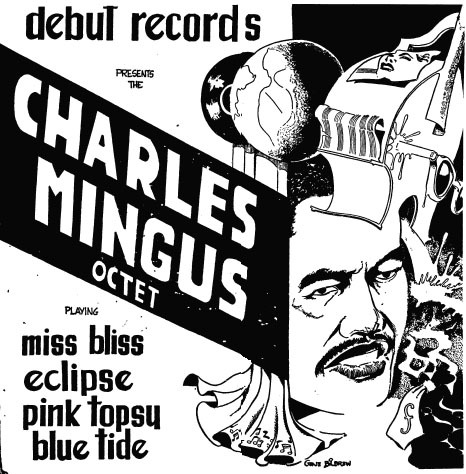 It is likely that Mingus's new bass part was added to the original Massey Hall tapes at this session. Octet session (Disc 5, 6-11): discographers have listed this date as October 27, but the tape box is marked October 28. (Teapot) Walkin' (Disc 5, 14): on all previous issues, this selection has been identified as "Teapot". It is, however, "Walkin'". Elusive (Illusive) (Disc 6, 16): on several issues, this title was given as "Illusive". It is, correctly, "Elusive". Percussion Discussion (Disc 9, 7): a second bass part was overdubbed onto the original track at some subsequent date. Septemberly (Disc 9, 9): this is a Mingus arrangement, combining the two standards "September In The Rain" and "Tenderly". All The Things You C# (Disc 9, 10; Disc 10, 7): this is a Mingus arrangement which combines the standard "All The Things You Are" with elements from the Rachmaninoff "Prelude in C# Minor" and Debussy's "Claire de Lune". A Portrait Of Bud Powell (Disc 11, 3): piano solo. What Is This Thing Called Love (Disc 11, 7): tape ran out at recording session. Jimmy Knepper session (Disc 11, 8-13; Disc 12, 1-2): most discographies list the date as July 10. Shafi Hadi session (Disc 12, 3-15): internal evidence on the session tapes indicates that Mingus is not the bass player on the takes of "Joldi". Untitled Precussion Composition (Disc 12, 16): this recording date was for the purpose of providing a sound track for the film "Shadows", but the material recorded was not used. The remainder of the session consists of brief snippets of instrumental "cue" segments. Charles Mingus's voive is heard at the track's opening.